Garry’s area of expertise is dairy nutrition. His interest in dairy nutrition began 45 years ago when his family started to produce their own feed for the stock on their farm. They had great results from their feed and were soon asked to contract mill feed for other farmers. 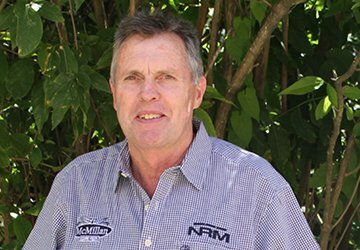 Before joining NRM, Garry ran his own agronomy and feed consultancy business, so he knows his stuff. Garry likes to keep busy, even in his spare time! He manages a racehorse syndicate and enjoys riding horses, playing golf, fishing and playing tennis.